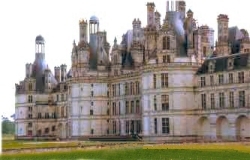 While visiting France, a visit to one of the truly extraordinary and beautiful castles [called Chateaux], their gardens and parks [jardins et parcs] are a must. A parc is not a 'Park' in the sense that we Americans think of, but rather the grounds of the estate. The formal French gardens came into popularity when Andre Le Notre the famous French landscape architect [this term 'landscape architect' didn't come to pass for a few hundred years after his time] designed the formal gardens of Vaux-le-Vicomte in the mid 17th century, and was then called upon to design the Palace of Versailles gardens for Louis XIV. You can view the article on Andre Le Notre here. 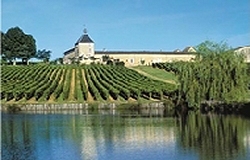 Enjoy the magnificent chateaux, vineyards and gardens in France on your next river cruise visit. 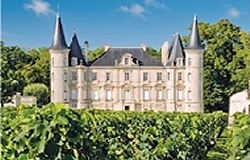 Visit our Chateaux section for more information on the Chateaux of France. 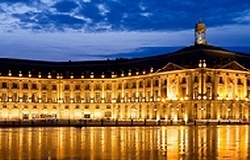 View our Bordeaux Chateaux Wine cruises options from AmaWaterways, Uniworld and Viking below, then call us today for more info on our 2015-16 Bordeaux, Cognac, St. Emilion and Chateaux cruising in France! For more info and availability: 1-888-666-7279.